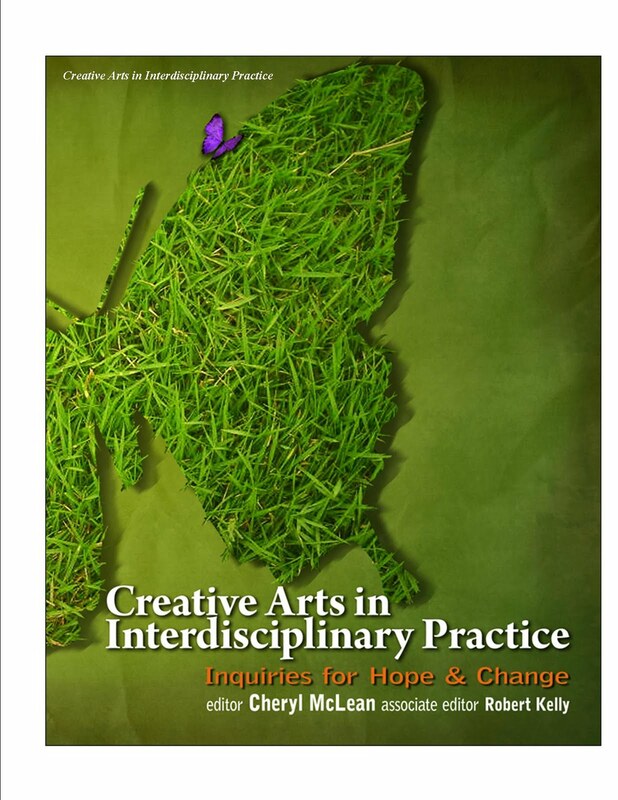 The book "Creative Arts in Interdisciplinary Practice, Inquiries for Hope and Change" Editor Cheryl L. McLean, Publisher International Journal of The Creative Arts in Interdisciplinary Practice IJCAIP, Associate Editor, Robert Kelly Ph.D., Faculty of Fine Art, University of Calgary published by Detselig Temeron Press features first hand topical accounts about the creative arts in research and practice. 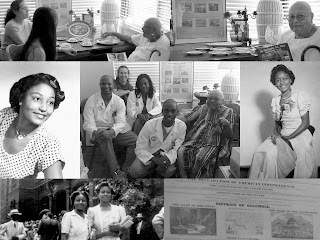 Leading academics, health researchers, nurse educators, physicians, social workers, educators. 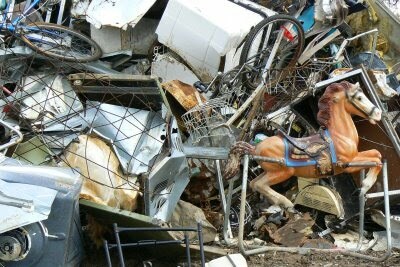 environmentalists, artists and others candidly share their experiences with the creative arts in research while voicing the stories of the work in practice. 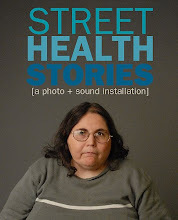 At over 400 pages, and featuring over 40 contributors, this is a varied and multifaceted collection of creative research in action, an accessible yet highly informative book that enlightens the reader about the inquiries and methodologies while demonstrating how the creative arts can uniquely cross disciplines in search of solutions while creating new communities for change in the process. 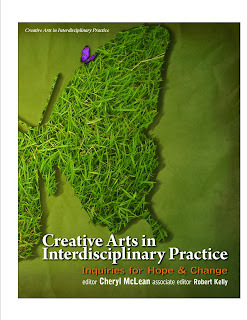 Among the contributors to the book "Creative Arts in Interdisciplinary Practice, Inquiries for Hope and Change"